Let our special event cleaning services in Charlotte give you one less thing to worry about. Planning a special event can mean keeping a lot of balls in the air. Here at Fiv5 Star Cleaning, we offer the perfect solution for scratching one task off your to-do list. Our special event cleaning services in the Charlotte, North Carolina area will make sure your venue, be it your home, office, or somewhere else, is ready for your guests. We understand that many of the preparations for an event are far more fun than spending time cleaning, and many can actually cause a bit of a mess. We can schedule our special event cleaning to just before your guests arrive, so even your event preparations can be tidied up afterward. That will leave you free to delve into all those fun things, such as putting together food trays and getting everything decorated. We can also help you clean up after the event is over. You’ve had a ton of fun, and the last thing you really want to do is spend a couple of hours cleaning after your guests leave. If you are renting a venue, you’ll want to know you’ll get your deposit back, so let us help with that. We actually go beyond cleaning also, so let us know if you need help serving food at your party or picking up dishes during the event. You’ll love our quality work, and our friendly staff is ready to tackle your home and business cleaning needs. We have been providing the very best in reliable maid services since 2007 with a growing list of regular customers. Let us show you the difference we can make in your life. If you have any questions about special event cleaning or any of our other cleaning services, don’t hesitate to give us a call. 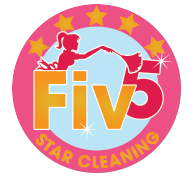 At Fiv5 Star Cleaning, we offer special event cleaning services in Charlotte, Concord, Cornelius, Gastonia, and Mooresville, North Carolina, as well as Rock Hill, South Carolina.